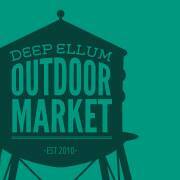 Join the fun at the Deep Ellum Outdoor Market. Except, that this month, we’re inside the Sons of Herman Hall where it will be cool! There will be a full bar, music, food trucks and a lot of great local vendors.